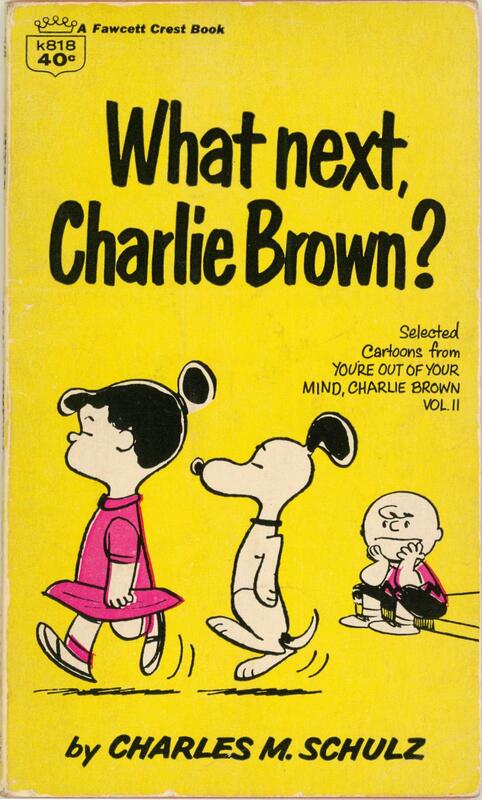 Peanuts creator and writer Charles Schulz has signed this paperback copy of What Next, Charlie Brown?. 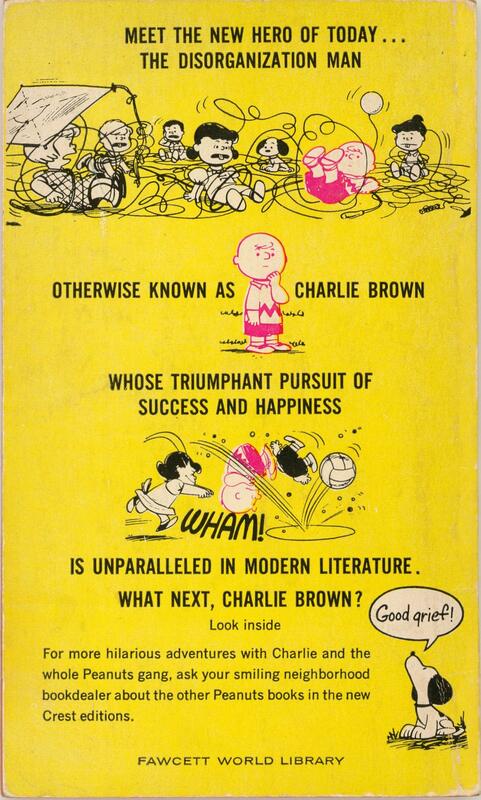 Schulz first published Peanuts in 1950, introducing the world to the timeless characters of Charlie Brown, Snoopy, Lucy, and many, many more. 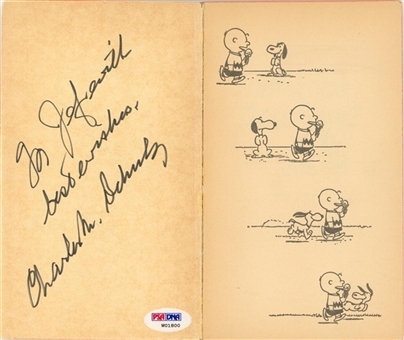 Schulz has signed the inside of the front cover of this book in black marker. He inscribed “To Jeff with best wishes” in addition to his signature. 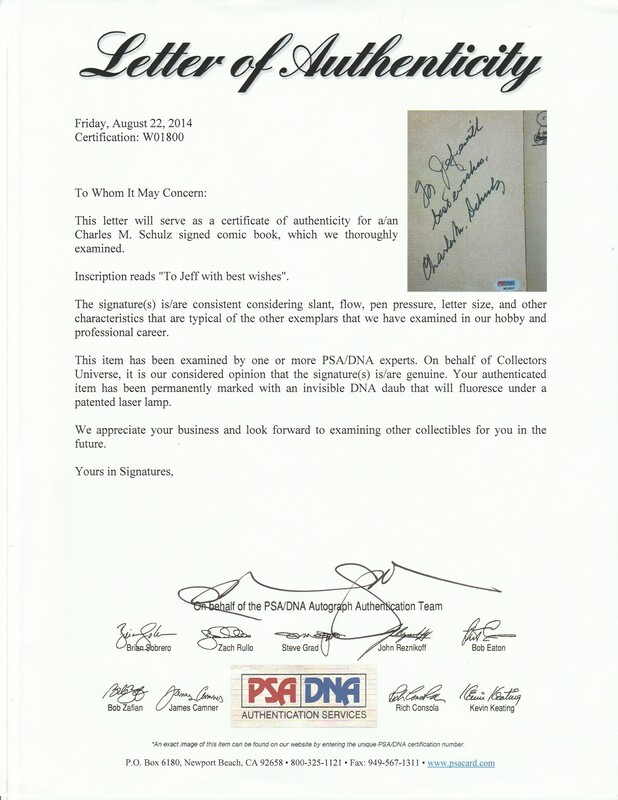 This book comes with a LOA from PSA/DNA (W01800).